Throughout the 20 plus year history of Federation Lacrosse, the sole focus was to make the players that attended our camps, clinics, and tournaments better people and players. We were always a teaching organization first to last and sincerely hope that everyone that attended FedLax events were satisified with the results they attained. 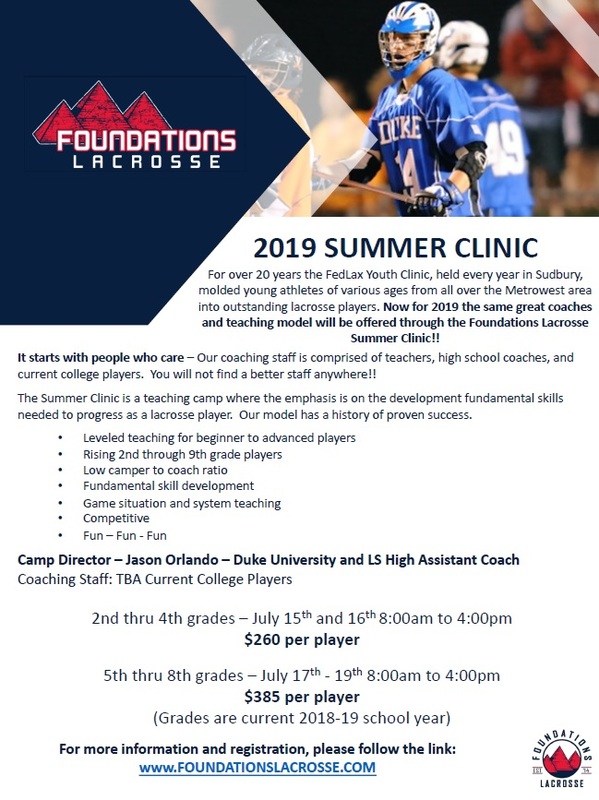 Similar to what was done with the Militia club program and winter clinics, we will now be folding our summer camp and high school tournament into Foundations Lacrosse. We feel that this is the best decision to continue with what our focus has always been. You will receive the same great teaching and coaching by many of the same coaches that you inferfaced with at FedLax. The summer camp and Elite tournament will be held once again in Sudbury during the month of July.